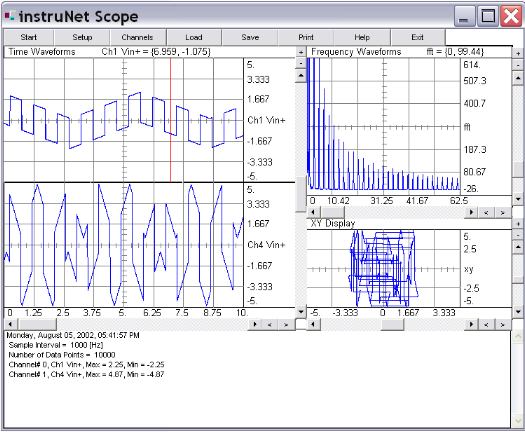 VB Scope implements a 2 channel strip chart recorder, XY Record, and Spectrum Analyzer. VB Scope is written in Visual Basic, source code included. This software is automatically placed on your Windows computer when you install the standard instruNet Software included with all instruNet i2x0/i60x controllers.